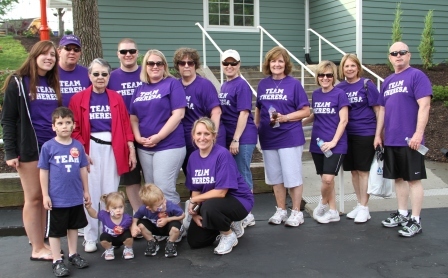 Saturday morning with the temperature climbing to 90 degrees and the humidity feeling like 100% (not sure what it really was), TEAM THERESA assembled at Worlds of Fun in Kansas City and participated in the 2012 Arthritis Foundation Walk. A few months ago I shared with you my goal of walking in this 5K, click here to read that post. This event raises funds for arthritis research, education and life improvement programs. As someone who has been living with arthritis for 10 years, I fully understand the value of this organization. I have often gone to their website to read information on pain relief, prepping for surgery and how exercise can play a role in treatment. 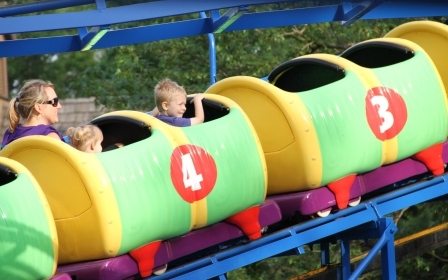 Before the walk began, my great niece and nephews got to take a few spins on a couple of the rides in the Planet Snoopy area. 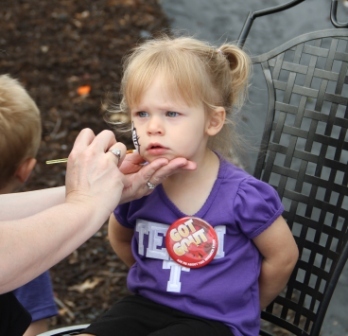 There was even a little face painting going on…. There were also booths set up with information about arthritis and tables of water, fruits and donuts. 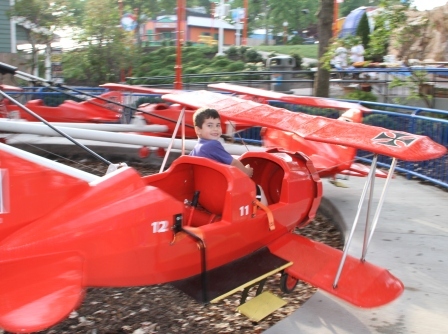 The walk itself was not too bad, although I am pretty sure just walking from the parking lot to the Planet Snoopy area of World’s of Fun was about a 5K in itself. 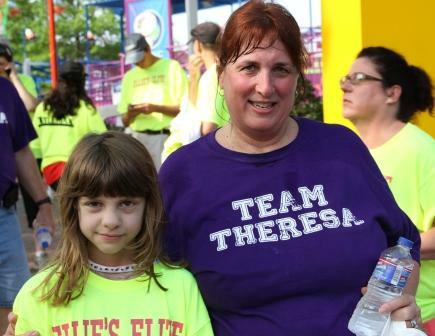 After the walk I had my picture taken with Ellie Fuson, the 9 year old walk honoree who has juvenile arthritis. Although we were told that Ellie’s arthritis is under control through medications and keeping active, I have a hard time imaging a young child living with the pain of arthritis everyday. The event raised over $50,000 dollars for the Arthritis Foundation with Team Theresa winning third place for the most funds raised in the Individual Team Category. I want to thank everyone who contributed and all those that walked with me on this very hot day! I am recruiting for next year, whose with me????? Last May, my friend Gail, the maid of honor in my wedding, my best friend all through junior and senior high school, did a 5K walk sponsored by the National Arthritis Foundation and dedicated her efforts to me. I was very touched and humbled by this act of kindness. At the time of the walk I had just finished my second surgery in 5 months that replaced both of my hips. I remember thinking how much I would like to be able to participate in a walk like that someday. Guess what people……I am going to walk with her this year!!!! Not sure I will make it the whole 5K (3.1 miles) because I still have those pesky knees that need to be replaced, but there will also be a 1 mile short course I can do if I need it. Last spring I could not even have imagined that I would be able to participate in the walk this year. I am very excited, but also a little scared. Dave and I have been walking some around the neighborhood but definitely not 3 miles. Usually when I get home, out comes the Aleve bottle and ice packs for the knees, but it is worth it to me. I am so happy to have my mobility back after being sidelined with arthritis for so long. I am thinking of this walk as a celebration! I would love to have you celebrate with me and help raise funds to fight this disease. 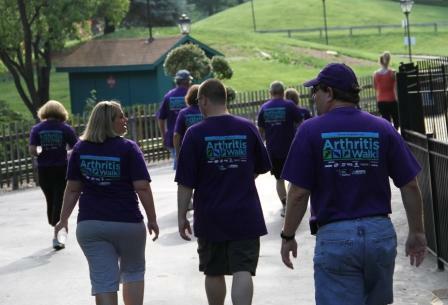 Please consider joining us for the Arthritis Foundation Walk on May 5, 8:00 a.m. at Worlds of Fun in Kansas City. 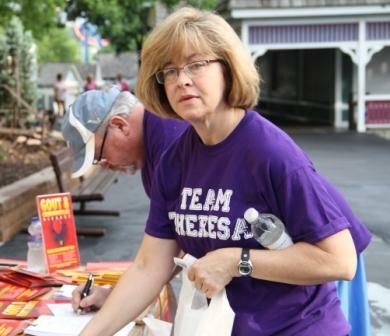 Here is a link to join Team Theresa. Bring your family and friends. I think you can even bring your dog! The more of us the better!!! Hope to see you there. The weather was so nice today that Dave and I decided to take a quick walk before dinner. Being the good student I am, I decided to bring my camera along just in case I saw anything picture worthy. 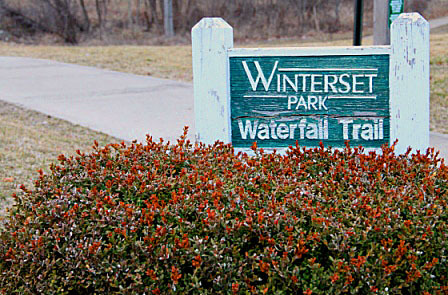 At the end of the block we decided to venture on to one of the several walking trails in our subdivision. 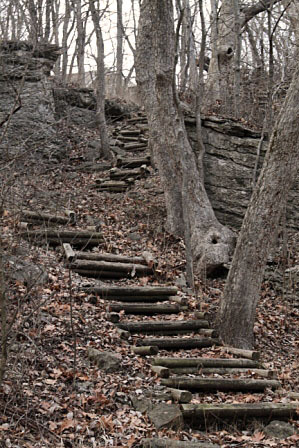 I have been on these trails several times over the fourteen years we have lived here, but not at all in the last two or three years due to my arthritis. This particular trail is literally one block from our house and is probably my favorite. This is what we saw as we walked. I feel so fortunate to live in a subdivision that values nature and is willing to invest in the maintenance and upkeep of these areas. 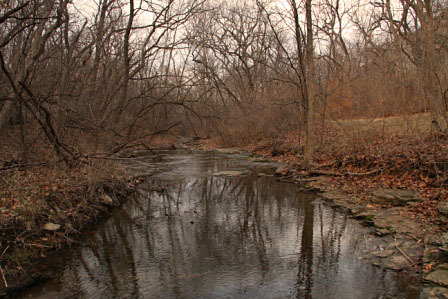 Even with the starkness of winter, and the absence of color, the surrounding area was so peaceful and calming. 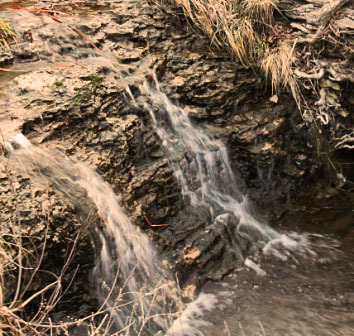 The trail is called Waterfall for a reason, there were no less than 6 places in the creek where the water was cascading over the large shale rock formations. I wish I would have thought to take a short video so you could hear the rippling of the water. I tried to take a picture of several of the falls but could not get a good vantage point as you can see in these next pictures. 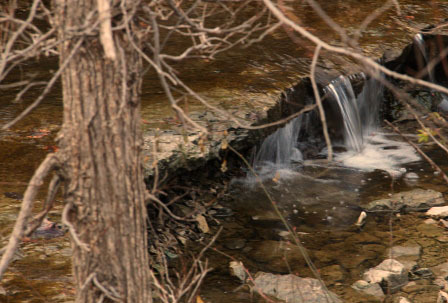 Maybe when it is warmer outside I will wade into the creek, away from the brush and get a good waterfall picture. Still a little too cold for that. Possibly the best part of the outing was just the fact that I was able to go on this hour long walk. The new hips worked perfectly. 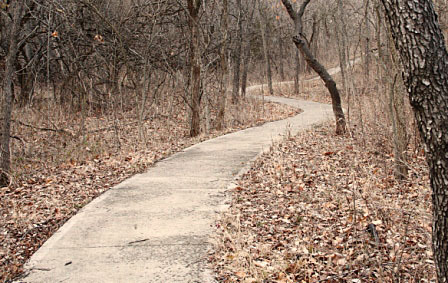 The knees were yelling at me by the time I got home, and I am sure there is Aleve in my immediate future, but it was well worth getting back on the trails and being reminded of the natural beauty that is only a short block from my front door. 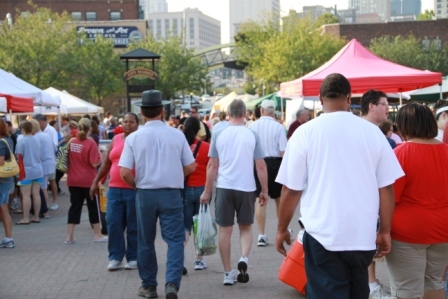 On Labor Day weekend Dave and I visited the Kansas City Farmers Market with about a million other people. It was the first time I had ventured down there in several years due to those pesky joints of mine which did not enjoy walking. It is a new day people……I love these new hips!! 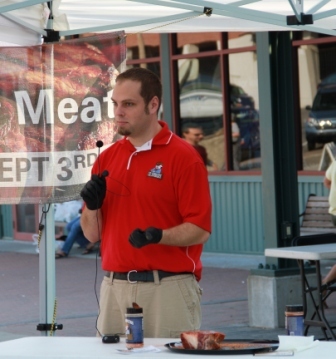 There was a special event this particular weekend called “For the Love of Meat” which is part of the City Market’s Farm to Table Celebration series. Guess who we ran into? 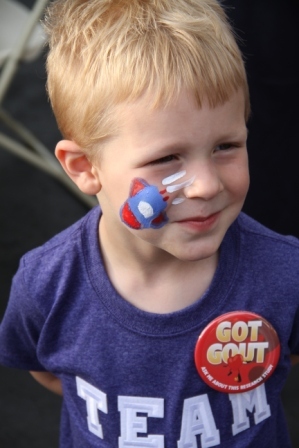 Our favorite BBQ Team – Lil’ Smokers. OK, so maybe we knew they were going to be there and being the team groupies that we are, maybe that is the reason we went! Lil’ Smokers were invited to provide a demonstration of their grilling and smoking techniques. Here is Dusty and Darrell discussing the use of spice rubs. Sure wish they would have shared the secret of getting their brisket so tender. In their booth, Rusty and David handed out free samples and sold their sauces and rubs. They even had samples of bruschetta made with their Sweet ‘N’ Sassy BBQ Sauce. Would you like to try some yourself? If you leave a comment on today’s post before Saturday, Sept 17 at 5:00 p.m., I will randomly select two winners and send each a bottle. Lil’ Smokers BBQ team has been competing for the past several years in the Kansas City Barbeque Society’s sanctioned competitions. The awards keep rolling in, for the 2010 season they were named the Northern Missouri Reserve Grand Champions. 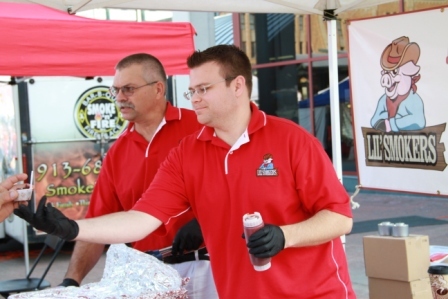 Just this year their two sauces won both 1st and 2nd place in the Great American BBQ contest in Overland Park, KS. They have also won awards with their ribs, chicken, pork, brisket and side dishes. Think about this, Kansas City is the BBQ capital of the world and this team is competing with some pretty big names in the BBQ circles, several of which even have their own restaurants. Winning BBQ awards in this neck of the woods is a huge accomplishment. However, if you have ever tasted Lil’ Smokers food you would not be surprised at all. 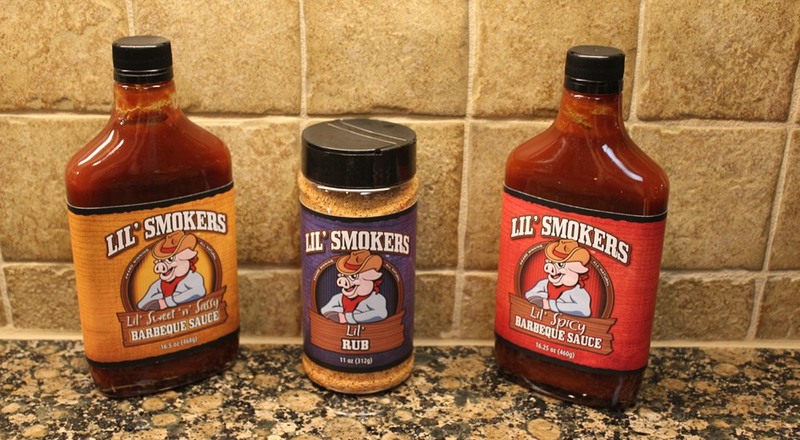 To see all the locations where you can pick up sauce, order sauce on-line, and get some new BBQ recipes, click here to visit the Lil’ Smokers web site. 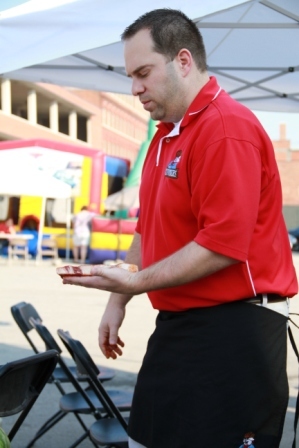 You can also see them in person at the American Royal BBQ competition Sept 30-Oct 2. 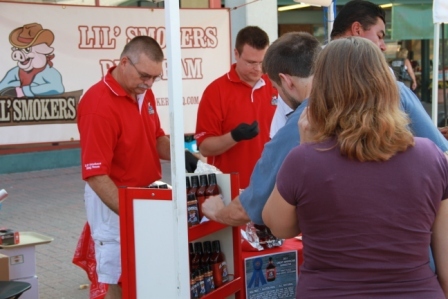 Don’t forget to leave a comment for your chance to try a free bottle of Lil’ Smokers BBQ Sauce! On Tuesday of this week I graduated from my in-home physical therapy program and on Wednesday I had my first outpatient physical therapy appointment. When the PT saw me walk in her first words were, “At four weeks out I was expecting you to come in with a walker.” That was enough to encourage me to show off a little during that appointment. I walked without the assistance of a cane all around the indoor track. Then I pushed really hard at each exercise she wanted me to do. She thought I was doing great. I felt pretty good when I left there. By the evening I was in major pain. I think every muscle in my body was aching not to mention the joints themselves. My knees were even screaming at me. I finally got to sleep that night with the assistance of a pain pill. When I got home I still had enough energy to make dinner and then make cookies. I know I still have to build up my strength and my hips do not feel “natural” yet. I often feel like there is a tight band around my hip and many times when I sit down I feel like I am sitting on something. However, words can not explain how happy I am to be able to do these simple things that I have not been able to do and to know it is only going to get better in the future. I had such a great weekend! I did push the clock a little. I am really not supposed to be going out until the 4 week mark, but that is only in about 3 or 4 days. The weather was so nice and I was itching to get out. Do not tell Dr. L! 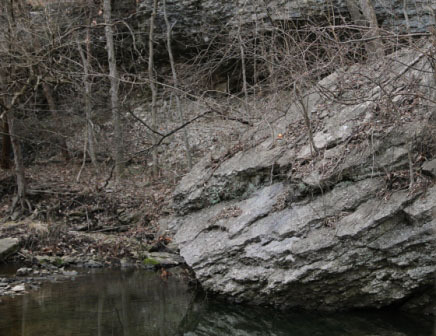 On Friday evening we drove to Excelsior Springs for a surprise visit to my sister’s house. I tried calling before we left but she was not answering. Even if she were not home when we got there, I was still going to be happy just to get out of this house and see some new scenery. As I expected, she was at home but out working in the yard. That lady has so much energy, sure wish I had some of that. On Saturday I started my day with a cut and color at the hair salon. Now tell me, is there anything that can make a girl feel better than a new haircut and color? Especially when you have been waiting for three weeks to get to the salon? Well maybe a cut, color, mani and pedi would be even better but I thought I should not push my luck. After that, Dave and I had brunch at the Neighborhood Café in downtown Lee’s Summit. Typically there is a wait on a Saturday morning to get a table but we walked right in and sat right down. Does it get any better than this? When we returned home Dave headed off on the Harley to hang out at Gail’s Harley Davidson, a frequent Saturday visiting place. He told me later that in honor of father’s day he test drove a new motorcycle. I told him nice try but I already have his father’s day present. While he was playing, I decided I wanted to go to Macys. I was a little concerned about going there by myself this first time. I was not sure how far I would be able to walk. I was thinking it would be nice to have a familiar face close by so I decided to call a friend. Joy was a willing babysitter. I actually walked around the store for a good 30-45 minutes, even tried on a few things. I did take advantage of a couple of chairs here and there but the amazing thing is there was no hip pain. My only complaint was that I was VERY tired. I have very little endurance right now but I guess that is to be expected after being sedentary for the last month. Endurance I can work on. There is no way I could have done this in the past couple of years without being in considerable pain. I came home and took about an hour nap while Dave trimmed some bushes in the yard. In the evening we were off to our ABC Dinner Club with friends. Check out the new installment on the ABC Dinner Club page of this blog. Sunday we topped off the weekend by taking Kayla and Dylan out for some frozen yogurt and visiting about the CPA exam and surgery residencies. Those two have some tough days ahead of them but I am sure they will come shining through as usual. A weekend of simple pleasures has provided so much encouragement for what the future offers. Project reconstruction – 50% complete! Physically, I am doing very well at the two week post-surgery point. I am definitely standing and walking better than I was this time after the first surgery. I am going up and down the stairs once per day. Sleeping is better also, almost too good. After the first surgery I had a very hard time sleeping on my back for any length of time. The first night home from surgery #2, I was able to lay in bed for 6 hours. However, since I can only lay on my back right now, I literally did not move a muscle for 6 hours. That meant when I was ready to get up, every muscle in my body felt frozen. It took Dave and I both to get me up and in a sitting position. It is much better now, but that first night was hard. I am still only sleeping in bed for about half the night and then sleeping in my recliner for the other half. Mentally, I am not doing that well. This three day weekend has been hard for me which is crazy because it was not that long ago I would have killed for three days of doing nothing. But add those three days to the week and one-half prior of doing nothing and you have two weeks of doing NOTHING. I guess it is because I am feeling pretty good that I am bored to death. TV does not interest me and I do not have enough patience to read a book. Everyone else I know is out having fun, cooking out, shopping and/or visiting with family and friends. All the things I want to do. I am just here, so tired of sitting in this recliner, but not able to do much else. My sister came to visit both yesterday and today. If it were not for her I would have pulled my hair out. We sent Dave out on his motorcycle both times she was here just so he could get out of the house. He is being so patience with me and with my attitude. The week ahead should be better. On Tuesday, K ayla is coming over to hang out. On Wednesday, I go to the doctor to get my staples out and a few friends are bringing lunch over. On Thursday and Friday I will probably work half days. A few months from now when I am back in the swing of things, working too much and complaining that I do not have enough time for myself, please remind me of these two weeks when all I had was time to myself and how much I enjoyed that! First let me just say that I have always taken storms seriously. Tornado warnings were the only thing I would wake up my sleeping children for in the middle of the night when they were growing up. In May of 1957, when I was seven months old, my family and I lived in Ruskin Heights and were smack dab in the middle of one of the largest tornados to ever hit this area. Of course I do not remember this storm, but I remember the effects it had on my parents for years after. Our home at the time was spared by the tornado although my father helped many neighbors crawl out of the crumbles of their houses and the shopping center close by. I remember seeing pictures from the newspaper clippings my parents kept. One was of the high school, only the first two and last two letters of the school, “RU IN”, were still hanging on the destroyed building. Another picture was of a car on top of the water tower. The house we lived in, like most in the Ruskin area, did not have basements. After the storm my father had a basement dug beneath our house. I did not even know that was possible to do! The entire time I remained living in my parents’ home, whenever there were tornado warnings, my father would send us to the basement while he nervously watched the sky from the open garage door. Last Friday, the day I came home from the hospital, there were storms in the area and I kept a close watch on the news and prayed there would not be any warnings for our area. I was not sure I would be able to do those stairs again that day. On Monday I was devastated watching the reports out of Joplin, thinking about all the loss and destruction and feeling so bad for all the families involved. On Tuesday evening I did my motherly duty and called both of my Missouri girls to make sure they would keep an eye on the weather that night as they were predicting a new round of severe storms for our area. Molly asked where she should go in a tornado warning since she had just moved into a new apartment on the third floor. Kayla and I had the same discussion since her and Dylan’s rented home does not have a basement. Next thing I know Molly, Kayla and Dylan all decided to come home for the night. This worry wart mother could not have been happier. I told them both that since they were making the effort to get here that I was sure all would be calm for the night. We had a great evening visiting and hearing surgery stories from Dylan. As predicted all was calm. At around 11:00 a.m. on Wednesday, Kayla, Molly and I were all hanging out in my room trying to decide what we should have for lunch. Next thing we know, a tornado warning for Jackson County was being issued. They said to take cover immediately. We decided we should head for the basement. We sent the girls on down and Dave helped me navigate the steps, all thirty of them, fifteen to the first floor and fifteen to the basement. I was slow but I made it just fine. As we watched the weather coverage on the news I was thinking how seriously everyone was taking this warning…..schools were sending kids to the basement, offices were sending employees to the lowest levels of the buildings. No doubt this heightened sensitivity was due to the Joplin catastropy we had all just witnessed. After waiting in the basement for a few hours we decided to move upstairs. I am happy to report that I made it back up all thirty steps, back to my bedroom, without even stopping for a rest in between. The physical therapist is not visiting today but left me with instructions to complete the exercises on my own. I think I may have exceeded both her and my own expectations for the day. Home makes everything better. I returned home from the hospital on Friday afternoon and spent a very quiet weekend starting my recovery. I remembered that the first week after surgery was difficult, but I had forgotten just how much effort it requires to do the smallest things. My biggest complaint right now is that I am just exhausted. The surgery went great with no bones fractured, just large bone spurs removed. Bone spurs are just extra bone formation the body creates to try and heal the diseased bone. Most everyone with OA has bone spurs, some get so large they began to impede on the action of the joint. According to Dr. L, this is what was happening with my right hip. The day after surgery I was standing up with the walker, weight on both hips. Discounting the narcotics that were being pumped into my body, there was virtually no pain. Walking was another matter. That first day I was only able to take about three steps and those were with the PT moving my right leg forward. The right foot just did not want to move. According to the PT this is very common after surgeries because the nerves just are not firing. It takes a while to get those muscles to remember how to move. By the second day after surgery, I was walking across my room and out into the hall. On the third day after surgery I was going up and down three stairs. I did find out that I am highly allergic to the adhesive on the bandages they used after surgery. We first noticed large blisters on my back, then, before they took the bandage off the incision, the nurse noticed blisters around that bandage. My incision looks great but I have a few open blisters that are still trying to heal. Only gauge and paper tape bandages for me in the future. After getting home on Friday, I was once again dreading the long climb of stairs up to my bedroom. I remember in December when I did this, that once I got to the top I thought Dave was going to have to bring me a chair to sit in for a while before I actually walked into my room. However, this time, I walked to the top, walked into the room, walked into the bathroom, and then walked over to my chair. Already feeling like this recovery will go faster…I am definitely stronger. In 36 hours I will be leaving to go to the hospital for surgery #2. All the preparations have been completed and my emotional state is on a rollercoaster. First of all, ten days ago I had to give up Aleve, my over the counter drug of choice. Aleve is a blood thinner that relieves inflammation. It must be stopped prior to surgery so you do not have increased bleeding. I am allowed to take Tylenol but it does not provide the same pain relief for me. To add to this complication, I spent the past week in Omaha at the office, which meant more walking (more pain) each day. I even have to go down steps to get to the bathroom. I did not get to sleep in my own bed (always a discomfort) and I did not have my recliner to elevate my legs. To put it mildly, I have been in much pain this week. I have also had to change the side of the bed I sleep on. For the first few weeks after hip replacement surgery, getting in and out of bed requires a certain technique. Certain movements can cause the hip to dislocate and precautions must be taken until the muscles have healed and can hold the new joint in place. 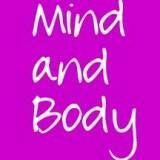 In order to start the process with my non-surgical side I need to move to the opposite side of the bed. Thanks again Dave for accommodating my every need. If I seem a little grumpy over the next few weeks we can just blame it on the fact that I have gotten up on the wrong side of the bed. Emotionally I am nervous, anxious, impatient and excited. Nervousness – there is always risk with any surgery. Surgery #1 went very well, none of the most common risks of hip replacement were realized. No dislocations, no blood clots and no infections. Will this surgery be as successful or will my luck run out? Anxiety – recovery takes so much effort. I will need to regain overall strength that is lost during surgery. There will be many showers taken before I can stand alone and not use the shower chair. I will be starting over on physical therapy. I will be using the walker again. Even getting in and out of bed will hurt for several weeks. 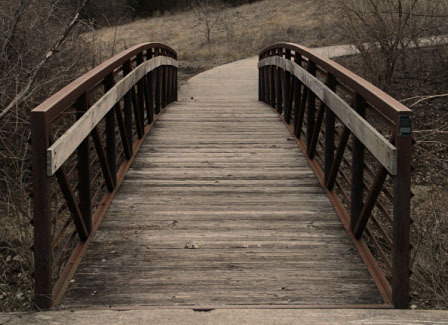 Impatience– I am so weary of having pain in every step I take. I am tired of not being able to go to the places I want to go or do the things I want to do. I am tired of complaining, worrying and being negative. Excitement – after this surgery I am expecting a great leap of improvement. Although the arthritis pain is gone from my left hip since surgery #1, there is still some stiffness and occasional pain in the joint. I attribute this to not being able to utilize the new hip fully due to limitations from my other joints. The key to overcoming joint pain after replacement is exercise. With two joints replaced I should be able to move much more. I have so many items on my bucket list and I want to get started!!! Thank you all so much for the words of encouragement I have been receiving…..and for reading about my worries and complaints. I hope to be back here soon, 50% closer to overcoming this disease.